Classic German design from the 1930s. 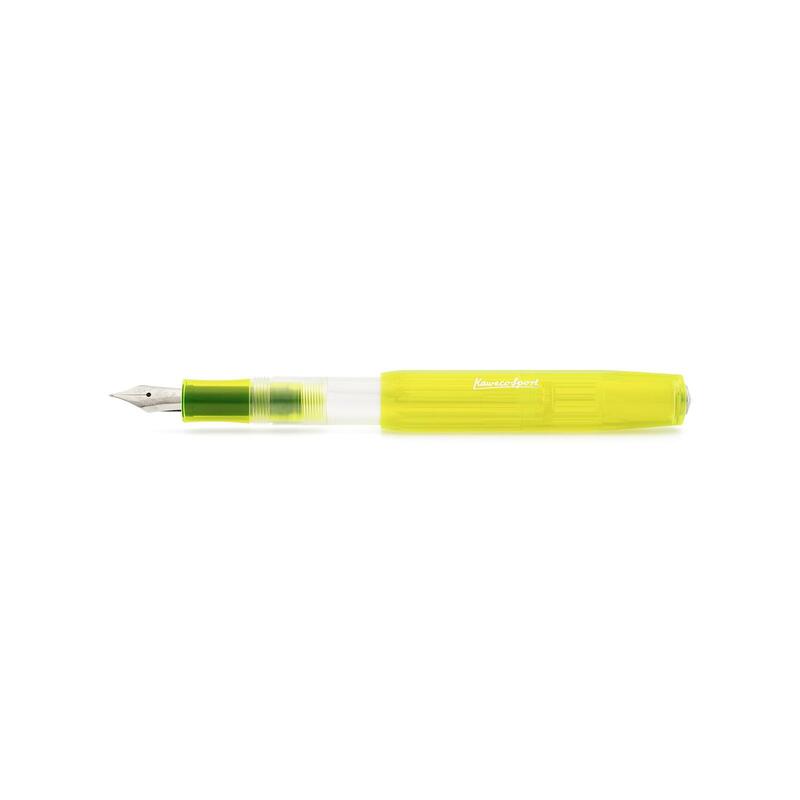 A pocket pen (10.5cm closed) that becomes full-length (13cm) when its cap is posted. 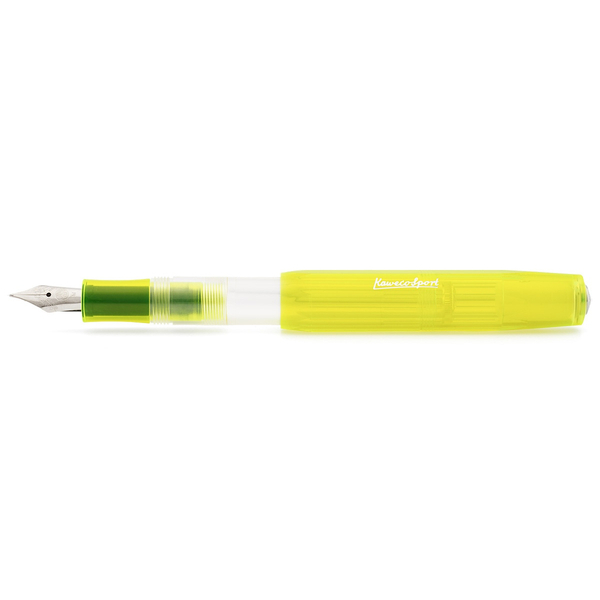 All Kaweco Ice Sport fountain pens feature a coloured translucent cap and grip section in combination with a completely transparent barrel. This pen takes standard-size cartridges only but special miniature Kaweco Sport converter can be used to fill from bottled ink. Writing sample was scanned at 300 DPI and the paper is 8mm spacing.